Design purity to match a perfect picture. Only OLED's revolutionary construction is so thin and light that the screen can be bonded to a transparent pane of glass. This unique television architecture is simply stunning and means there is nothing to distract your attention from the incredible picture you are watching. Audio visual innovation. A high quality Sound bar is crafted into the stand providing powerful front firing audio and flexible upright or wall mountable positions. With discreet, modern styling you get incredible sound without complicated or cumbersome additional components. OLED’s unparalleled range of contrast brings shades and colours to life in a way that LED TV technology cannot match. Colour and contrast perfection. 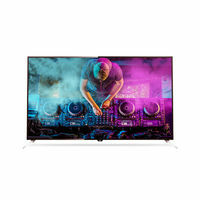 LG OLED is the first TV of its kind with Dolby Vision™ and Dolby Atmos® combined within one television - the result is a unique cinematic experience for your home with incredible picture and sound quality. 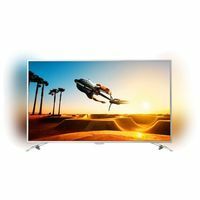 Our advanced Active HDR technology can adapt to a variety of HDR formats and provides scene by scene image mastering, delivering pinpoint picture reproduction. Active HDR is better HDR. 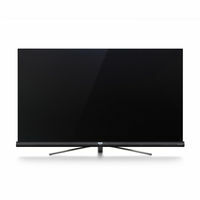 The award winning LG Smart TV with Freeview Play * put's you in control of the entertainment on offer. Enjoy your favourite channels and catch up TV services with no monthly cost. The Smarter way of watching live TV and on demand services, with no additional devices required. PICTURE ON GLASS Design purity to match a perfect picture. Only OLED's revolutionary construction is so thin and light that the screen can be bonded to a transparent pane of glass. This unique television architecture is simply stunning and means there is nothing to distract your attention from the incredible picture you are watching. FOLDABLE SOUNDBAR STAND Audio visual innovation. A high quality Sound bar is crafted into the stand providing powerful front firing audio and flexible upright or wall mountable positions. With discreet, modern styling you get incredible sound without complicated or cumbersome additional components. 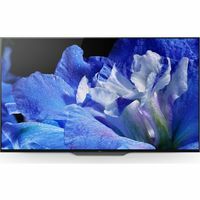 Perfect Black Creates Perfect Colour OLED’s unparalleled range of contrast brings shades and colours to life in a way that LED TV technology cannot match. Colour and contrast perfection. Dramatic Imaging. Cinematic Sound. 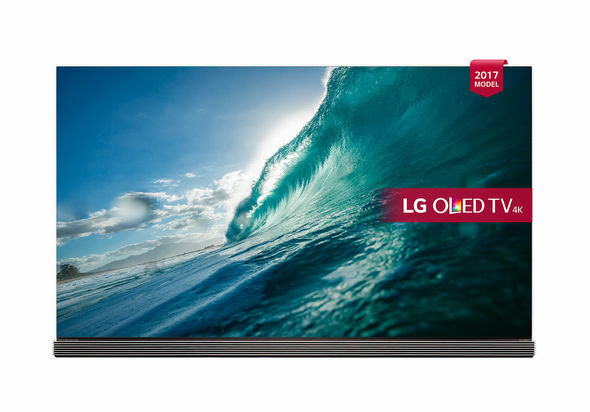 LG OLED is the first TV of its kind with Dolby Vision™ and Dolby Atmos® combined within one television - the result is a unique cinematic experience for your home with incredible picture and sound quality. 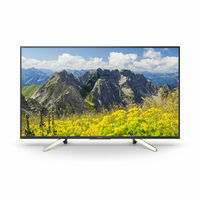 The Ultimate HDR 4K Picture Our advanced Active HDR technology can adapt to a variety of HDR formats and provides scene by scene image mastering, delivering pinpoint picture reproduction. Active HDR is better HDR. DOLBY ATMOS®- Cinematic Sound for your Home Dolby Atmos delivers each object’s unique sound in three-dimensional space for full immersion. 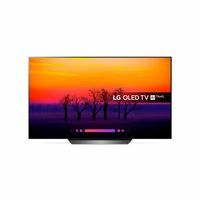 The Ultimate Entertainment Package The award winning LG Smart TV with Freeview Play * put's you in control of the entertainment on offer. Enjoy your favourite channels and catch up TV services with no monthly cost. The Smarter way of watching live TV and on demand services, with no additional devices required. LG webOS 3.5, security you can trust The security manager in webOS3.5, earns prestigious CC international security certification and UL CAP2900-1 certification for its ability to provide superior privacy protection. It prevents the installation of unauthorized applications, hacking and leaks of privacy. 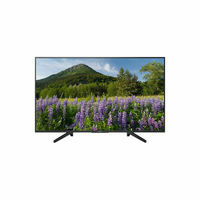 The TV had excellent picture quality and LG did not fail to impress. An all in good product but kind of pricey.